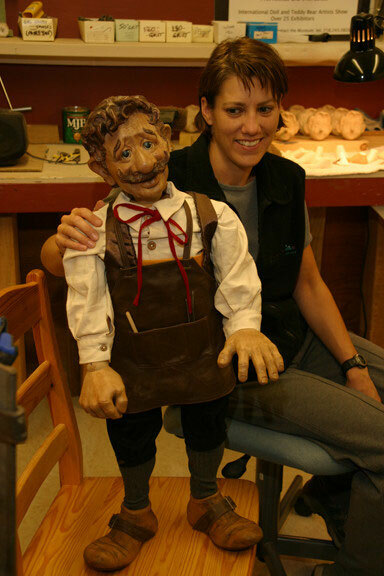 Marlene Xenis had the initial idea to create the most stunning wooden doll ever made, and she wanted it to be Geppetto and Pinocchio. A true work of art, Geppetto and Pinocchio will take your breath away. 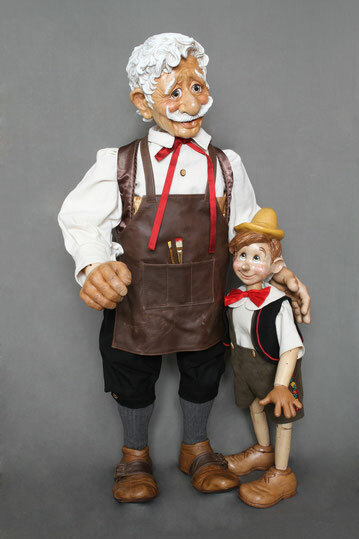 Geppetto stands an amazing 40” in height and has 13 moveable joints. 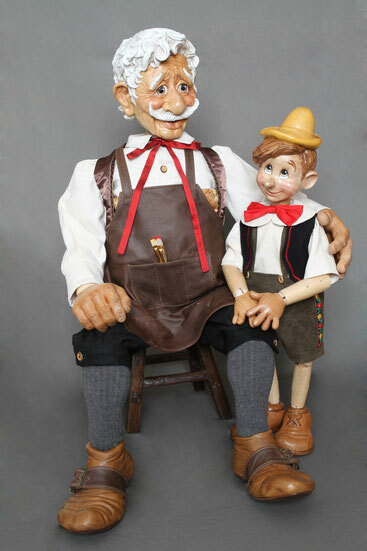 His innovative jointing system allows him to stand on his own and he can be posed in a variety o f different positions. His worn shoes, rough hands and kindly face are carved entirely from western maple as is the rest of his body. 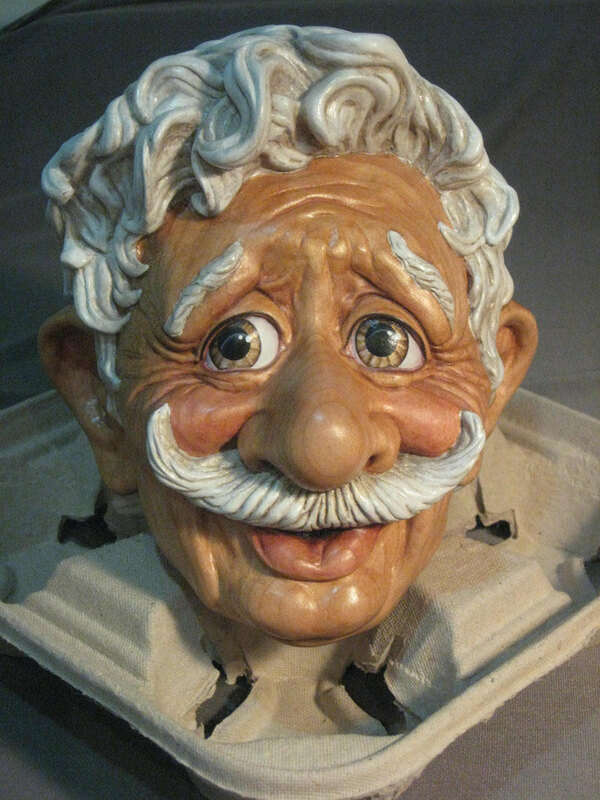 Light washes of paint and stain were used to allow the beauty of the wood to shine through. 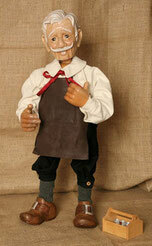 Geppetto wears black wood pants, a brown dupioni silk vest, a cream linen shirt and a work worn leather apron. Pinocchio, Geppetto’s son is entirely carved from western maple, he stands 24" tall with 13 moveable joints. His outfit includes green suede shorts, a white linen shirt, a brown wool vest and a red dupioni silk bow tie. 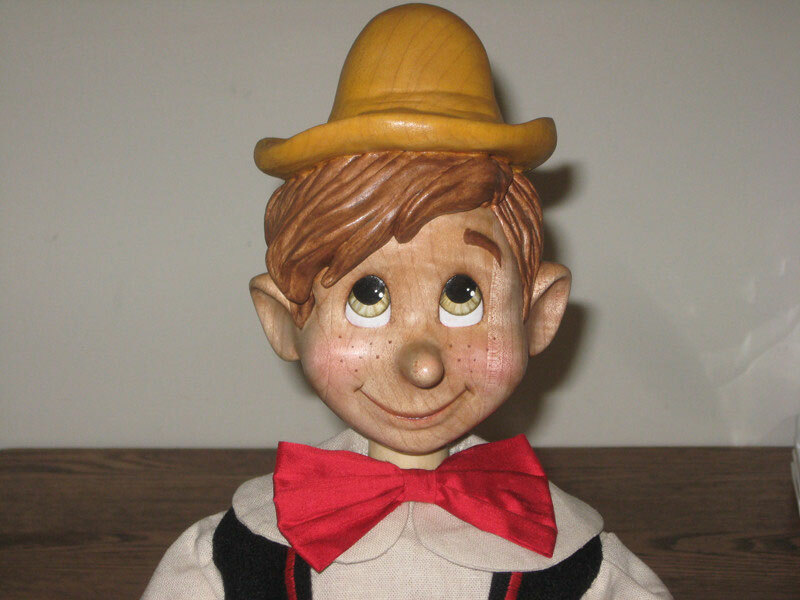 Pinocchio has an internal music box which plays: It's a Small World”. The Talking Cricket is also available to add to this set.